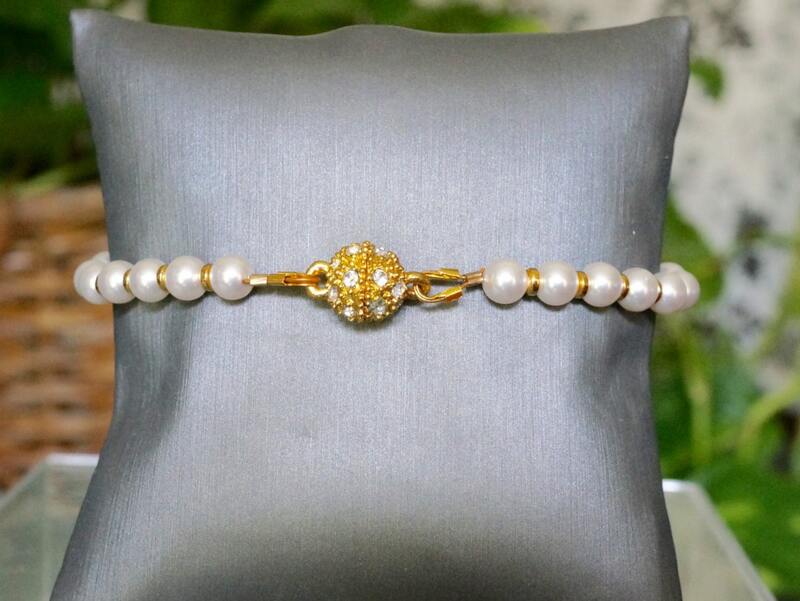 Here you have a very delicate and feminine bracelet. 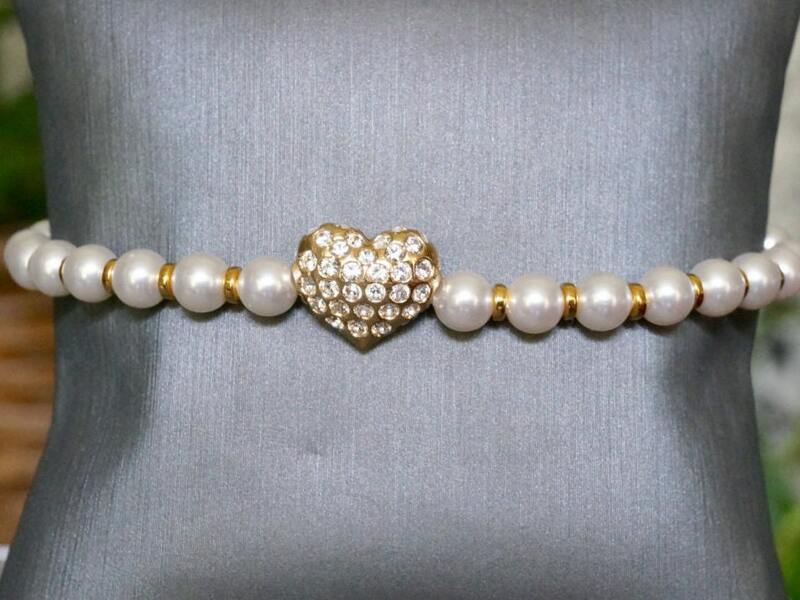 It's focal is a gold plated Swarovski crystal heart, surrounded by cream Swarovski pearls. It has gold plated spacer beads. 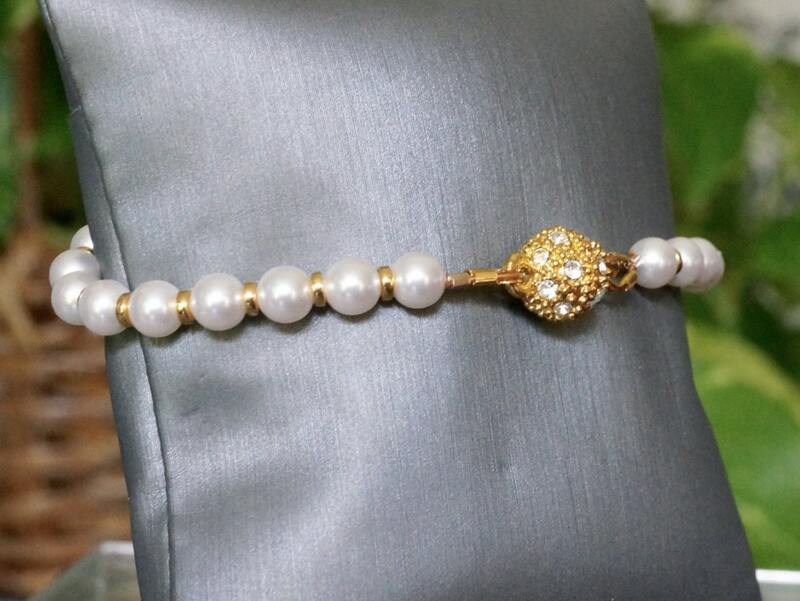 It al comes together with a gold plated rhinestone magnetic clasp. It measures 7.5, but can be shortened or lengthened, per your request. Please let me know ahead of time, before the purchase.